Towards the end of January, Health Data Research UK revealed the ten solutions addressing healthcare challenges that would receive a share of £3m from UK Research and Innovation. This includes a project looking to evaluate the impact of Google’s Streams app, led by the Institute of Global Health Innovation at Imperial College London, an initiative led by Cambridge University Hospitals NHS Foundation Trust to combine NHS and research data to improve the diagnosis of rare diseases, and the PED4PED project – People with Epilepsy Sharing Data for Care with Paramedics and the Emergency Department. 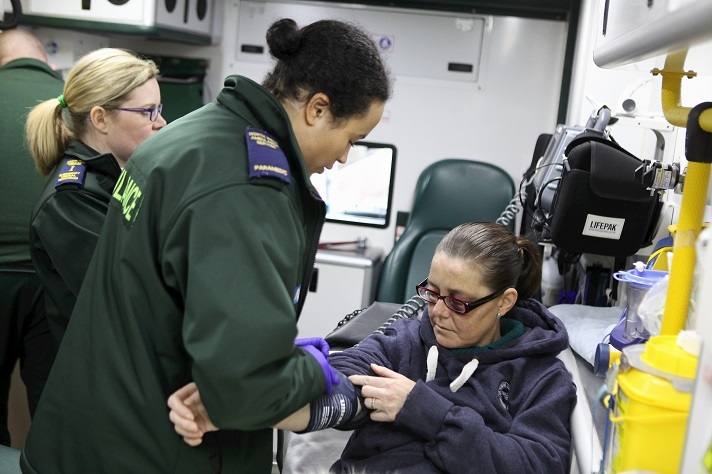 PED4PED has received £214k in funding to connect data from GPs, hospitals and ambulance services and make it available to paramedics and A&E staff when they are called to patients with epilepsy requiring urgent care in the North West Coast. The aim is to improve health outcomes and reduce the number of unnecessary admissions to A&E. If an ambulance is called to someone that has had a seizure, paramedics do not have access to information such as diagnosis or next of kin, and they bring the patient to A&E. If staff in A&E also do not have access to the data, this may result in admissions or investigations that are unnecessary. According to the Epilepsy Society, more than 500,000 people in the UK are affected by epilepsy – over 57,000 in the North West Coast alone – and about 87 people are diagnosed every day. PED4PED is led by Tony Marson, professor of neurology from the University of Liverpool’s Translational Medicine Institute, and follows the work carried out by the Academic Health Science Network (AHSN) for the North West Coast, the Innovation Agency, to improve services by enabling access to data. “This is a great opportunity to show what can be achieved by partners working together in Liverpool, making data available at the point of need to improve outcomes and efficiency. Whilst this project focuses on epilepsy, the learning will be scalable across healthcare,” Professor Marson said. According to the AHSN, the team is now working with paramedics, patients, neurologists and other groups to identify what data should be made available. The project is bringing together the University of Liverpool, the North West Ambulance Service NHS Trust, the Walton Centre NHS Foundation Trust, Royal Liverpool and Broadgreen University Hospitals NHS Trust – which is also taking part in an initiative that recently saw the opening of the “first digital testing space of its kind in the NHS” – Alder Hey Children’s NHS Foundation Trust, Epilepsy Action and Forcare – which was acquired by Philips in 2017. “As a trust we are dedicated to making sure that we give our patients the right care for them in the best possible place,” said Mike Jackson, chief consultant paramedic for North West Ambulance Service.